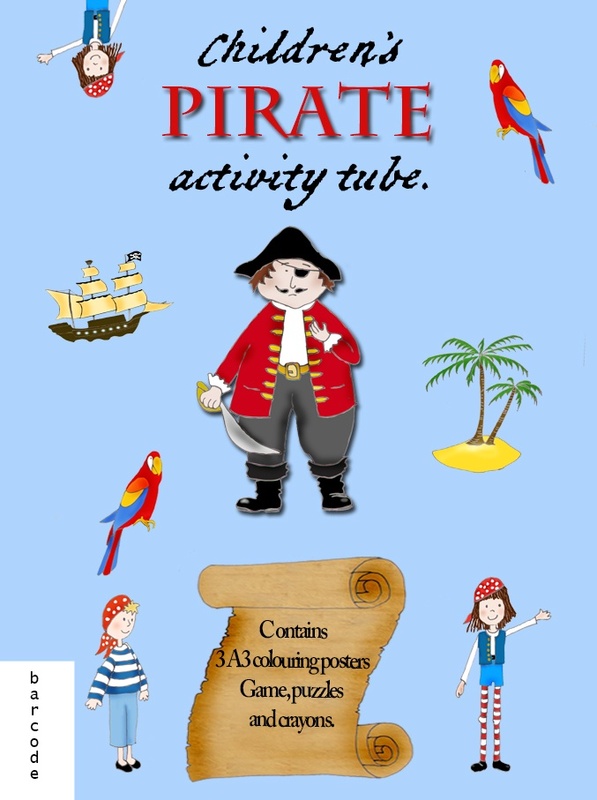 This attractively packaged activity set includes 3 A3 size colouring posters, an A 3 sheet of puzzles and jokes and an A3 sheet which makes into a game to play all with pirate images and themes. Also included is a small pack of colouring pencils. Suitable for children from age 5 upwards. 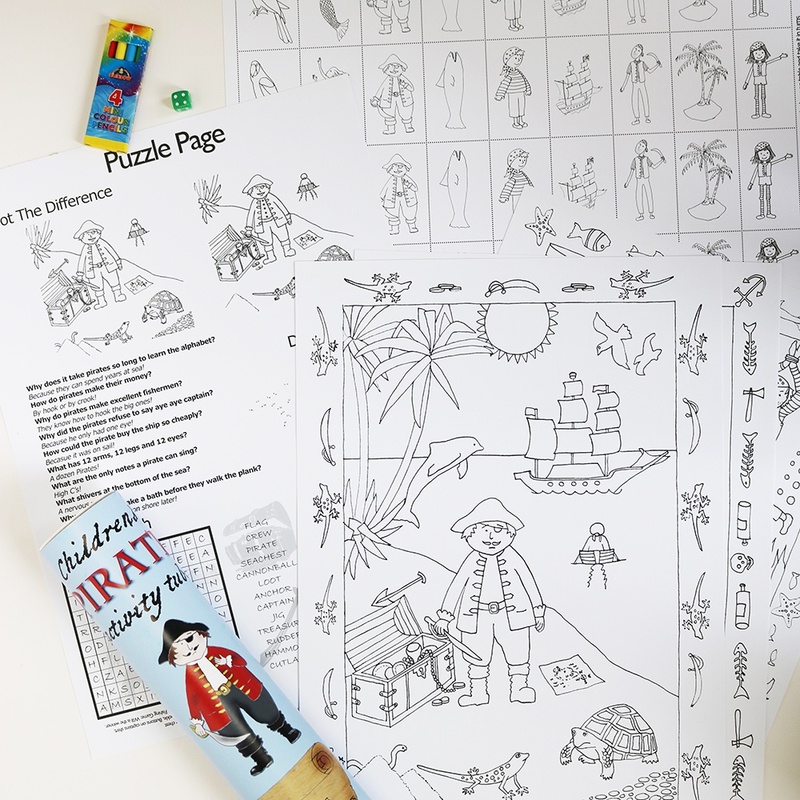 A childs activity pack containing 5 A3 pieces on a Pirate theme.